Tonight's review is one that I've been inundated with requests to review it. Due to my well noted dislike of English IPA's (and to a lesser extent Pale Ale's) a number of English readers have been sending me beers of the English style that I might enjoy; this is one of them. And "this" is Shepherd Neame IPA and it's probably been the beer most requested. I finally found this about a week ago and knew it was one I had to review. Shepherd Neame is the oldest brewery in Britain, so you hope would be able to produce a decent beer. The brewery is probably best known in Australia for it's Spitfire beer, readily available at Dan's and the like. Anyway let's see if my English readers know what they are talking about. The body of this beer looked excellent, despite my dirty pint glass! It's deep orange/amber colour with a thin off-white head. The head had a number of large air bubbles in it and didn't last long, it left almost no trace behind either which was a little disappointing for the style but not the be all and end all. Shepherd Neame IPA really caught the light well and despite the head (or lack thereof) it's still a good looking beer. Thankfully I was wrong. There was enough bitterness coming from the hops that I could withstand the sweeter English malt base. There is a toffee flavour that comes from the malt which when combined with the grassy bitterness from the hops is rather alluring. 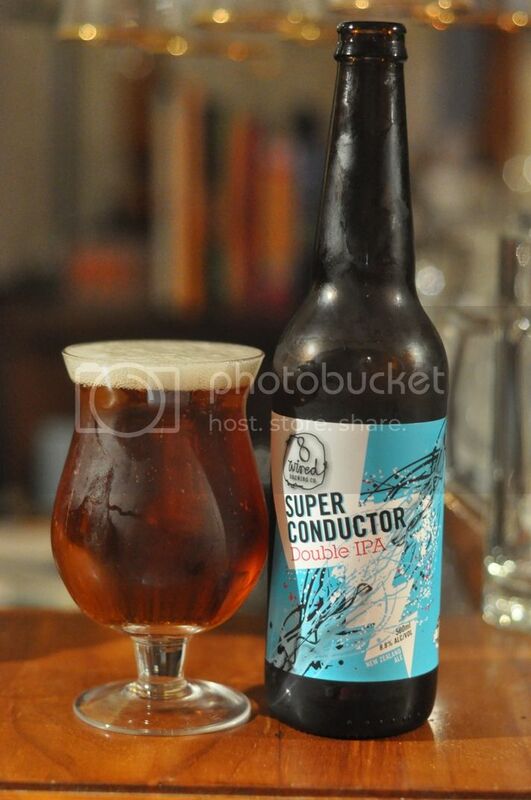 It's not so bitter that it would wreck your palate either, could be quite sessionable in fact. Shepherd Neame IPA really surprised me and I think jumps to the top of my English IPA list. It's still not a style that I've grasped yet I can at least now see some merit in it. 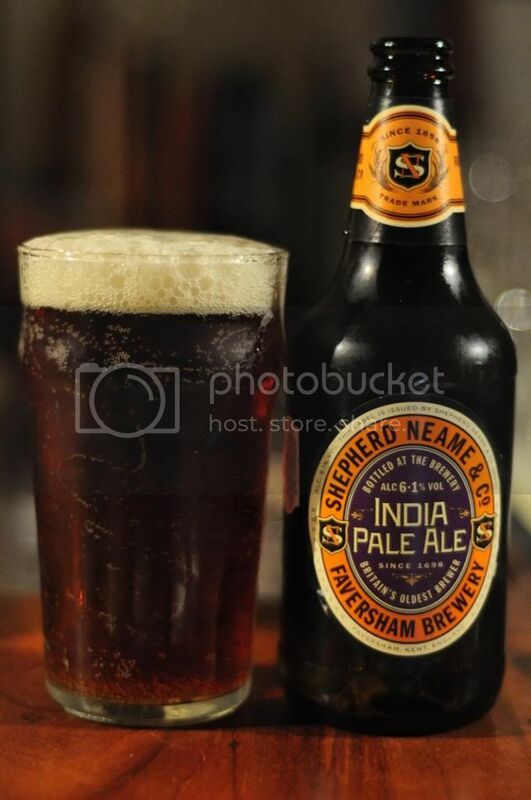 I will be trying more English IPA's and more from Shepherd Neame in the future. Suggestions, as always, are more than welcome. Thanks guys, have a good weekend.